Here at the Spurgeon Law Firm in Alexandria, Louisiana, we are fully committed to helping you recover the full amount of compensation you deserve for your injuries and losses caused by someone else's negligence or wrongdoing. At our law firm, we always put our clients' needs and interests above all else, and we promise to sit with you and discuss your situation so that we can devise the most effective strategy to help you resolve your matter and secure the finances you need as efficiently as possible. Recognized for our unwavering dedication to those we serve along with our success in serving so many in need, we have received numerous awards and honors, and the American Institute of Personal Injury Attorneys voted our practice as one of the 10 Best for Client Satisfaction in 2018. 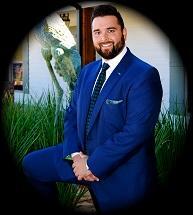 To begin receiving this high level of counsel and support for your serious matter, you can contact the Spurgeon Law Firm by phone or through our law firm's website to schedule a free initial consultation, and we will not require a fee from you unless we obtain compensation on your behalf.